Both, the only thing that you have to check is if the professionals are licensed and insured. This is because only a licensed contractor has enough knowledge about the work and will finish the project on time and safely. No, you are not required to be at home for the work to take place. With dedicated project managers, the professionals will handle coordination with both you and the crew. If you choose not to be home during roofing in San Antonio, the professionals do ask that all remaining vehicles are moved from the driveway to prevent damage from debris. How Long Will the Roofing Project Take? It depends on the size of your house and roof, the type of roof, the work that is required, and the complexity of that work. Once the professional knows whether it is a roof replacement or repair, they will estimate the duration of the work. No never! Because of the risks involved, roofing work is never a DIY project. You may choose to do the work by yourself, but hiring a professional is extremely beneficial and the safest route. Professional roofing contractors have the requisite safety training and gear to repair or replace roof systems efficiently. They know what needs to be done to stay safe, and they take the proper steps. So it’s always good to leave such work to the experts. Do the Roofing Professionals Help in Choosing a Replacement Roof that Best Suits our House? Yes, they do. The professional will inspect your house and provide some valuable advice about roofs and will help you choose what type of roof would best suit your home. If you are unsure of the type of roofing you want for your home, they assist you by showing you a wide range of roofing replacement models. What Can I Expect From Asphalt Roofing? 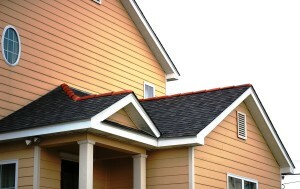 It is one of the most popular types of roofing since it is quite durable and enhances the curb appeal of your home. But to enjoy the full benefits of asphalt roofing, hire a professional from one of the top roofing companies in San Antonio for your roofing project. Your home is your most important asset, and the roofing company in San Antonio is what keeps you safe and secure. So, when your roof needs repair or replacement, don’t ignore it. Hire one of the top roofers in San Antonio who offers these services at affordable prices.